The Art Newspaper can reveal what art hangs in the Secret Intelligence Service’s Post-Modernist headquarters in London. Few UK buildings have tighter security and the only one of its 2,000 employees who can be named is its director—but now at least we know which paintings grace its walls. Spies are trained to notice everything, so hopefully the nameless intelligence operatives are more appreciative of their art than the usual Whitehall civil servants. James Bond certainly possessed this skill. In Dr No, the first Bond film, he discovered the National Gallery’s stolen Portrait of the Duke of Wellington (1812-14) by Goya hanging in the villain’s lair. 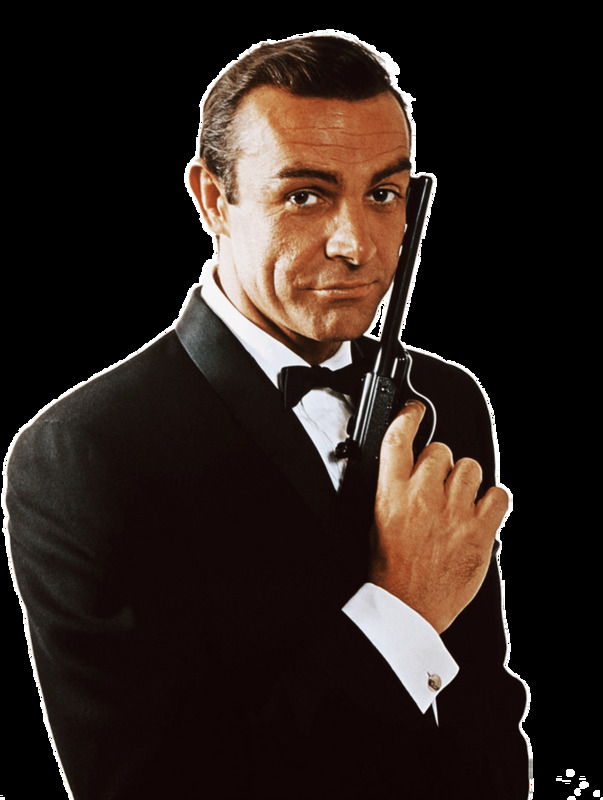 The Secret Intelligence Service, commonly known as MI6 (Military Intelligence, Section 6) is responsible for counter intelligence. Although established in 1909, even its existence was a state secret until 1994. Working clandestinely abroad, its most important current tasks include combatting terrorism, preventing the spread of nuclear weapons and defending national security. 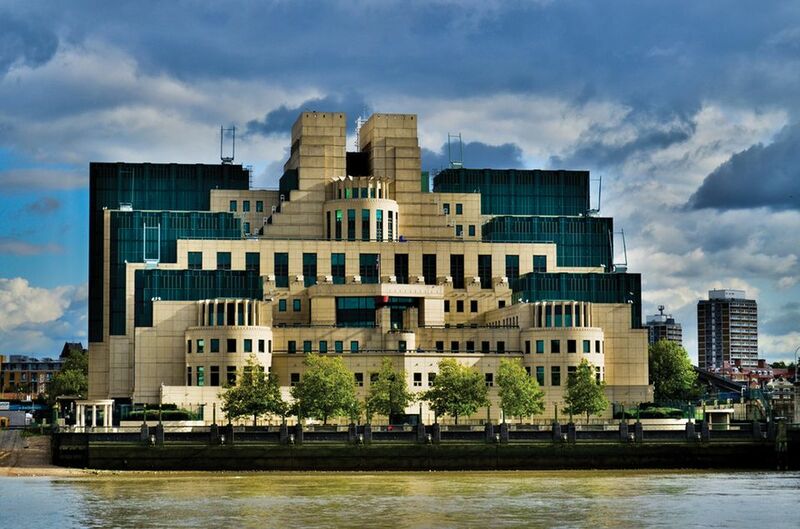 MI6’s headquarters are in a dramatic Terry Farrell-designed building overlooking the Thames. Known as Vauxhall Cross, the building was opened in 1994. MI6’s current director is Alex Younger; like all holders of the post he is called “C” (for chief) and writes officially only in green ink. The Government Art Collection is currently loaning 23 works to MI6. Three have a connection with the Arab world. 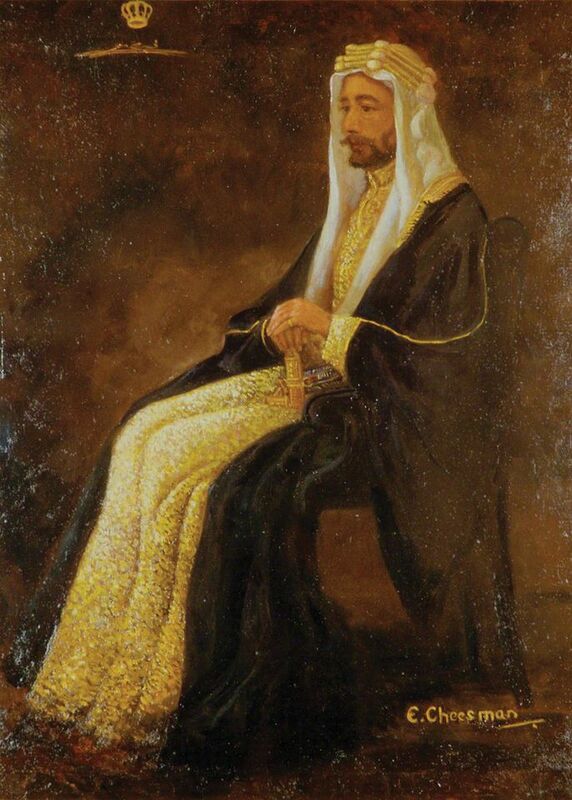 There is a portrait of the Iraqi leader, Faisal I, painted by Florence Edith Cheesman in 1921, the year he became king. Lawrence of Arabia had pressed the British government to support Faisal when Iraq fell under UK administration. An Edward Bawden watercolour, Base Camp of the Anti-Locust Mission, Jedda (1944) records an operation to destroy a locust swarm of Biblical proportions in the Arabian peninsula, which threatened international food supplies. A more peaceful scene is Harry Johnston’s Part of the Garden of the British Consulate, La Marsa, Tunis (around 1897). La Marsa was then the summer coastal retreat of the wealthy. This shows a rather different side of Tunisia from that on the minds of MI6 staff today; no doubt the Secret Intelligence Service was involved in the follow-up to the 2015 terrorist attack in Sousse, which left 30 Britons dead. Other works on loan represent an eclectic mixture. They include an anonymous portrait of Edward IV (about 1540), Winifred Nicholson’s Flower Piece (late 1920s), Frederick McWilliam’s sculpture Figure (1937), Roland Piché’s screenprint Bar-B-Q (1972), a hand-knotted wallhanging after a Patrick Heron abstract work (1981) and an Elizabeth Blackadder tapestry, Eastern Still Life (1981). And how did we track down what MI6 has on its walls? The secret, once you know it, is simple: just type in the word “intelligence” under “location” in the Government Art Collection’s website. Correction: The Goya was stolen in 1961 from the National Gallery, not the National Portrait Gallery, where it had been on loan until earlier that year.